Clarkston Window and Door Co., Inc. Comment: We have a porch area that has the post and roof, we need to have it closed in with some screen and siding on the lower part. Comment: sliding door wall losing clarity. Comment: I am looking to have an escape window installed in my basement and am looking for the cheapest way of making the living space legal with the smallest window possible. The window well would be under my back deck. Comment: Sliding window frame leaks inside . there is a small hole in the upper frame, form where the water drops are coming in the house. Rochester Window Replacement Companies are rated 4.71 out of 5 based on 857 reviews of 31 pros. 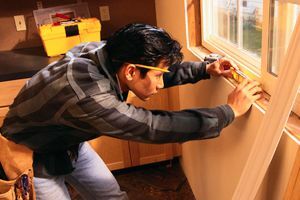 Not Looking for Windows Contractors in Rochester, MI?